This is my 4th tour with James Derheim, who has taken me to many ancestral villages, both mine and my husband Bill’s, in many south and western areas of Germany and the Zurich area of Switzerland. I always have had a wonderful time seeing for myself where these ancestors lived and learning a lot about how they lived. 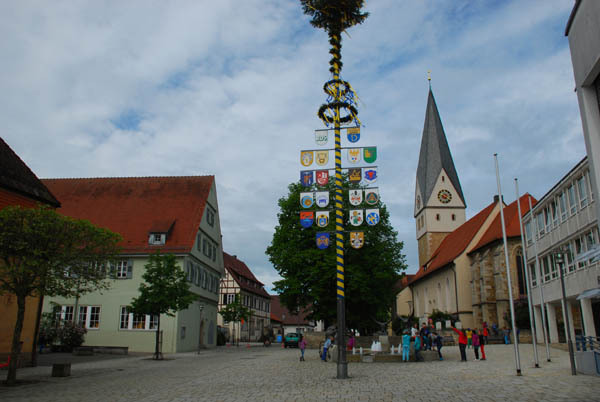 Usually I had been able to learn about their pedigrees using the LDS microfilmed church records before I visited the village, but this year the records for one village, Dettingen unter Teck, had been lost for some unspecified reason. 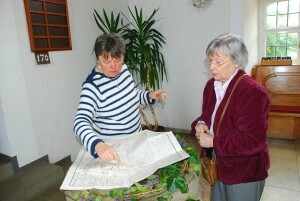 This trip was crucial to learning what happened to the records and to learning enough to be sure that this was the correct village and even to be sure of the location within the village. Usually I can be sure only that they must have come to the church and sometimes that they were baptized in the font that is still there in the church. 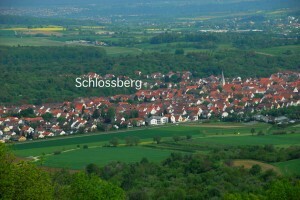 1815; she was said to be the daughter of Johannes Haubenestel from either “Dettingen” or “Schlossberg” both of which were said to refer to Dettingen unter Teck which is a small village near Kirchheim unter Teck. The LDS records only include very late records except for a familienbuch which gave some information about Christiana Barbara’s family including a birth date of her father Johannes of May, 1750 (the day was cut off in the image). 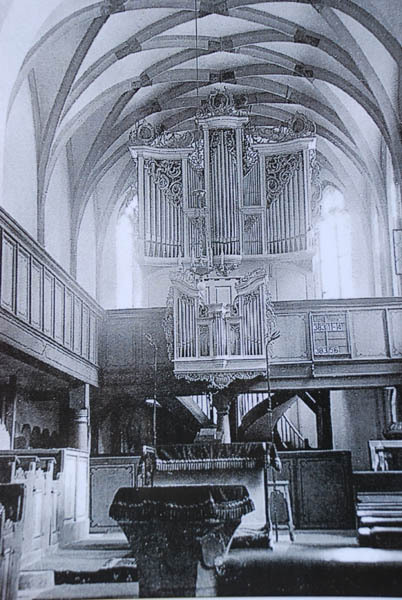 It took a visit to Dettingen u. Teck to find out that the records had been destroyed by Allied bombs in 1945, having been brought to the church for safekeeping because the Allies had said that they were not targeting churches! 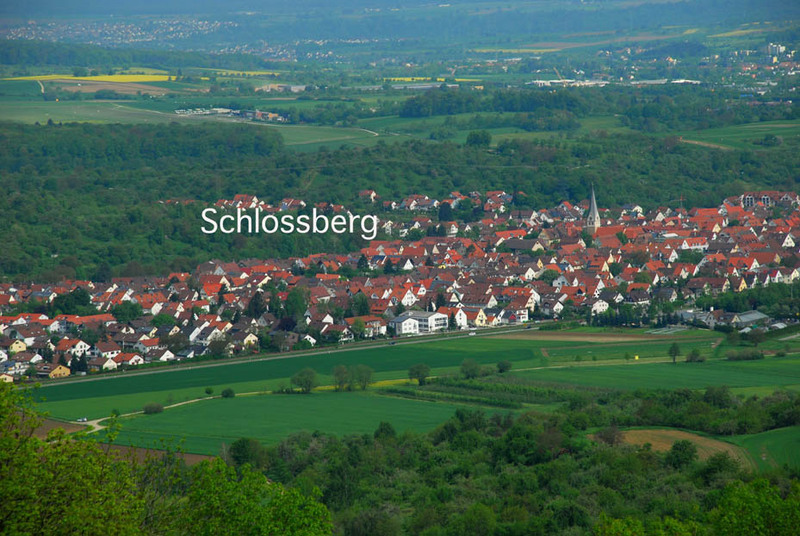 But we did find in a map of the village that “Schlossberg” was a very tiny section of the village just across the Lauter River on the road up the hill (“berg”) to a long-destroyed castle (Schloss). An old map in the Heimatbuch, (purchased next door to the church in the town hall) shows a tiny cluster of small houses just at the foot of this hill so I can be sure that Bill’s Haubensetel ancestors lived in one of those houses. This was one case where I really needed to visit the village and especially needed Jim’s help in talking to the people there, since my German is limited at best. Posted in Europe Tours, Family History Tours and tagged dettingen, family, haubenestel, history, schlierbach, schlossberg, teck, unter, weiler.